SCS Fleet Services is focused on the work to extend the life of your vehicle and equipment. We understand the importance of getting you back in business - safely and efficiently. We keep you moving so you stay in business. SCS Fleet Services is a full-service repair shop for light, medium, and heavy duty trucks. Our goal is to offer the best services available at affordable prices to get you back on the road in no time. SCS Fleet Services is a complete tractor trailer repair shop. From changing out lights to complete suspension work, our technicians service, repair, and maintain all makes and models of trailers. SCS Fleet Services keeps our customers forklifts in top working condition. From preventive maintenance to on-site repairs, our technicians have the experience and skills to work on all makes and models. Welcome to SCS Fleet Services! SCS Fleet Services prides itself on being one of the only full-service repair shops for trucks, trailers, lift gates, and forklifts in the Dallas Fort Worth metroplex. Every company wants fast, responsive and reliable service, because your customers demand it from you. Keeping your fleet operating at peak performance is the solution to increased productivity. That’s why SCS Fleet Services is designed to service your maintenance needs in the most efficient way possible - at your place of business or at our repair facility. Whether you require routine preventive maintenance, roadside assistance, or overhauling an engine, we can get you back in business. We also provide fast and accurate estimates on any equipment brought to our facility. SCS Fleet Services is your TOTAL REPAIR CENTER! 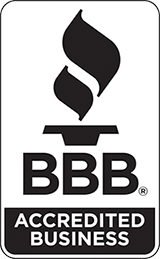 MISSION STATEMENT: To provide our customers with quality maintenance and repair services by our professionally trained technicians, while consistently delivering honest and reasonable pricing. SCS Fleet Services © 2015. Visit us on Google+ Site By Algoteck.